Our HVD robot enables us to work at great heights without risking the safety of any of our operatives. 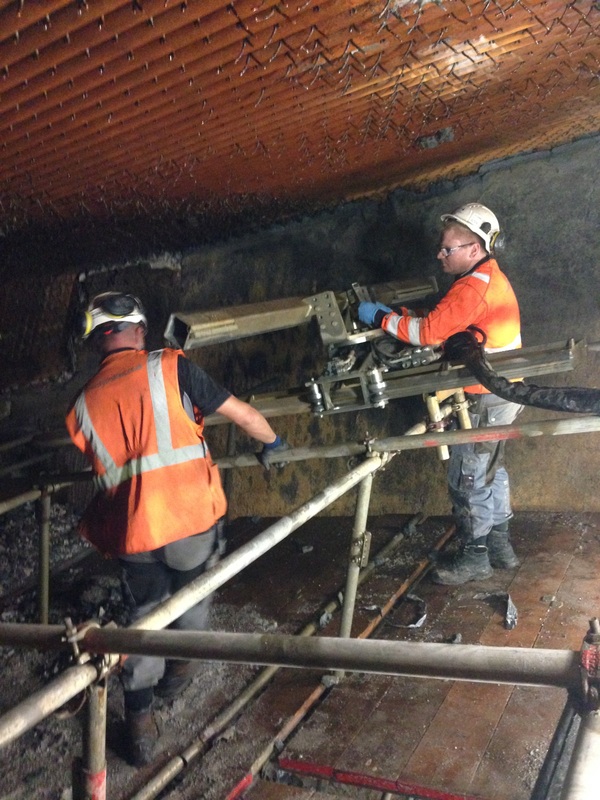 This is a truly practical and safe hydrodemolition solution that eliminates the need for scaffolding, which can be expensive as well as posing hazards. The robot does all of the work so that operatives do not need to be raised up high and potentially risk their safety. On this task, the Aqua Cutter’s standard tower was topped with an additional tower element to raise it up even further. This raised the tower’s original height of six metres to an optimum height of 11.5 metres. 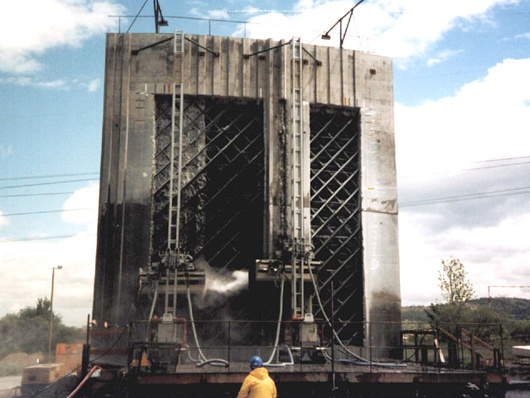 The angle of the tower was set to match the angle of the wall using a secure support. Throughout the entire job, the hydraulic pressure remained constant. This enabled complete stability even at the highest height. These Aqua Cutter HV models offer many new possibilities in hydrodemolition because they can be extended to more than the standard six metre height using extra support. If you need to work at a height and want a safer, better alternative to potentially dangerous scaffolding, we are confident that we can provide exactly what you need. Contact us today.